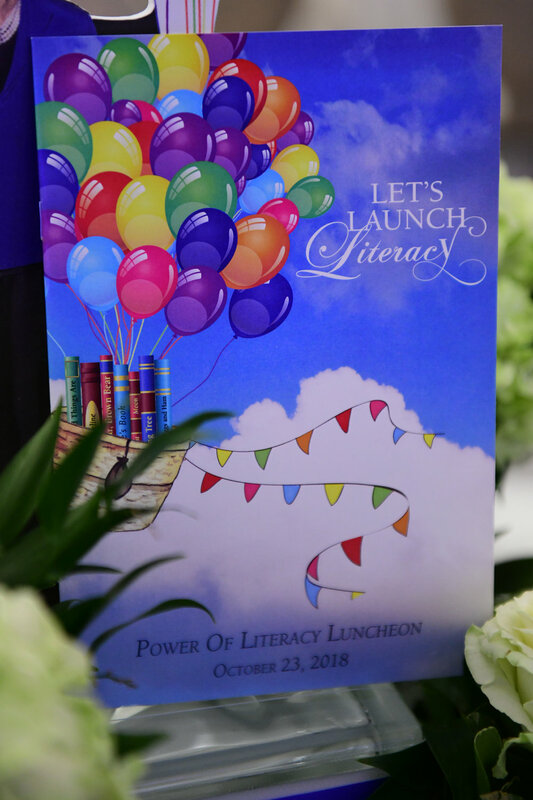 The Ladies for Literacy Guild, along with this year’s luncheon chair, Cathy Cleary, hosted the third annual Power of Literacy Luncheon on Tuesday, October 23 at The Post Oak Hotel at Uptown Houston. 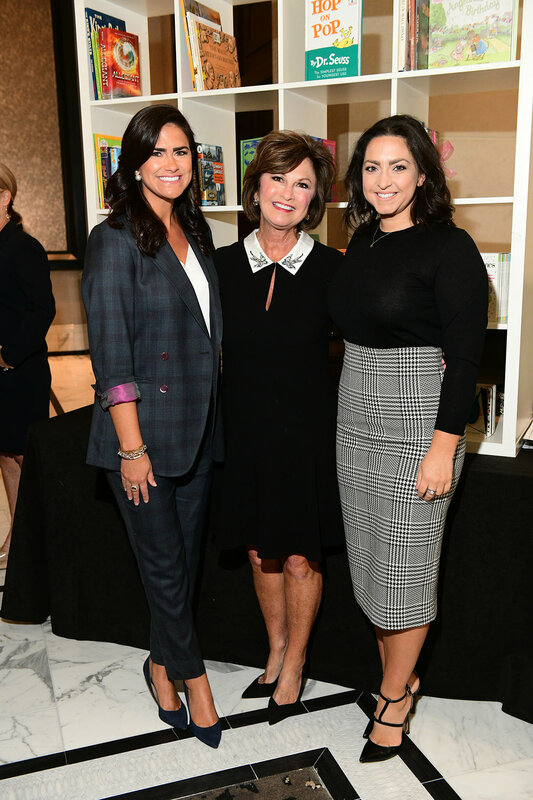 This event shined the light on the cause former First Lady Barbara Bush championed for nearly 30 years – literacy. 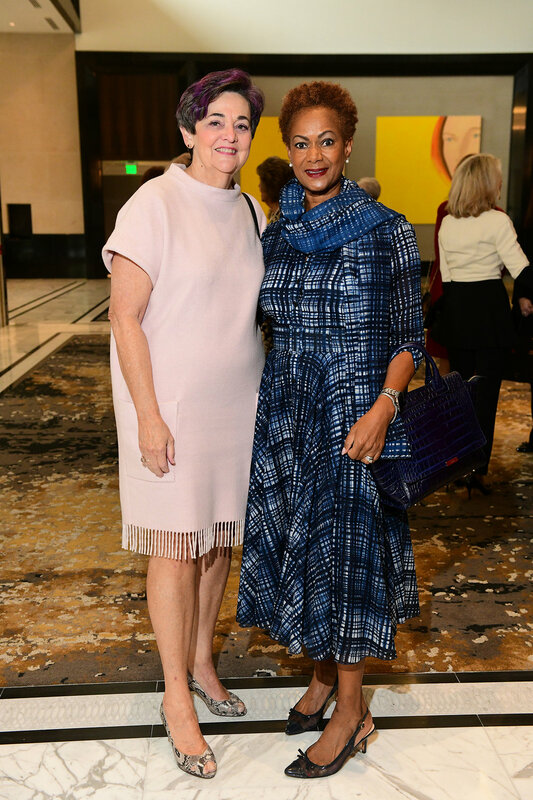 More than 600 guests helped raise over $360,000 to help support the Guild’s activities and literacy initiatives. 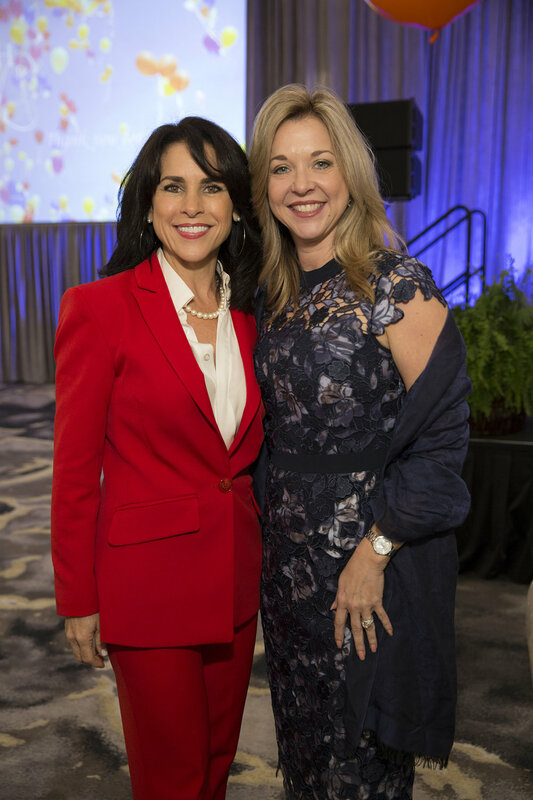 Special thanks to Phillips 66 for serving as the event’s Title Sponsor for the third year in a row and to Cathy & Joe Cleary for serving as this year’s Literacy Champions. 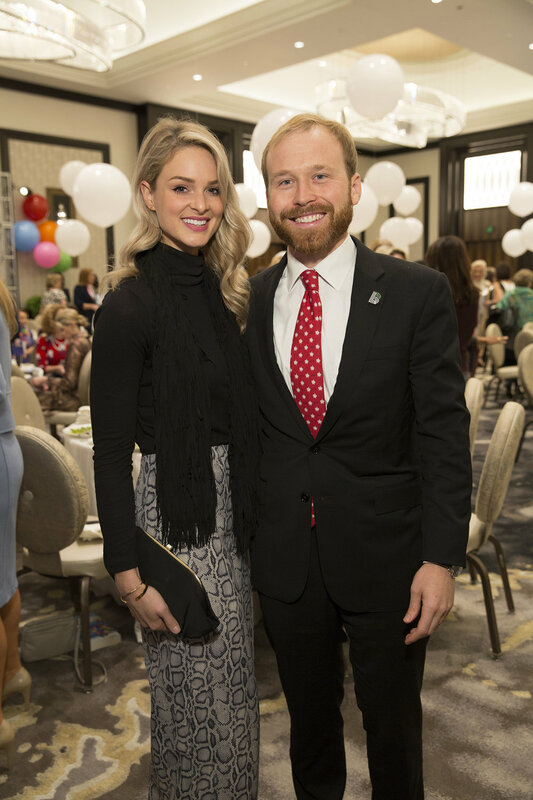 Emcee Rachel McNeill kicked of the luncheon by giving a personal testimony as a mother of two young boys why reading is important and should be a fundamental right for everyone in our city and how reading has been an enjoyable experience in her own family. True to the theme of the event, the Grand Lobby and Ballroom were decorated with more than 150 giant balloons. 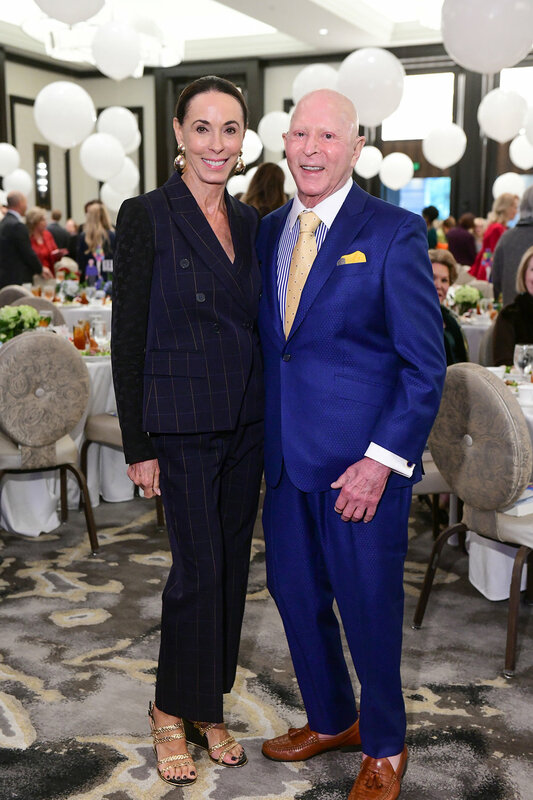 Each of the 60 tables were donned with bright, multicolored flowers and featured an 18-inch cut-out of former First Lady Barbara Bush holding balloons. 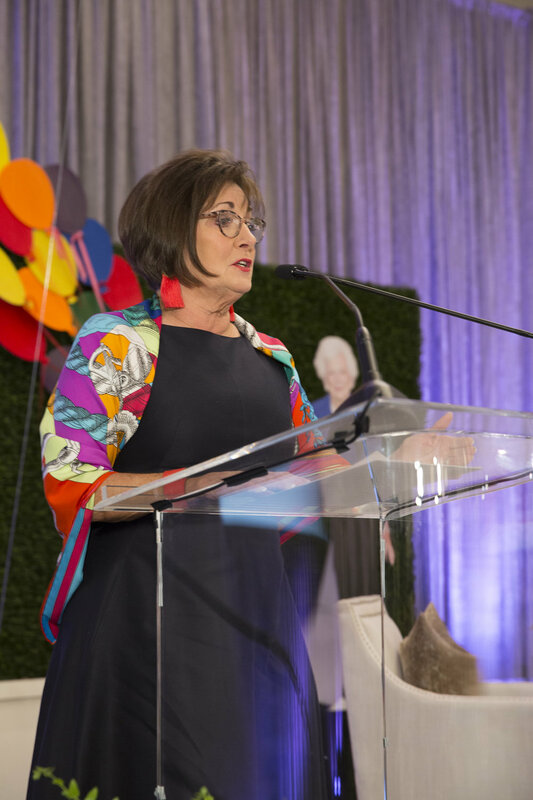 The back of the stage featured a life-size cut-out of Mrs. Barbara Bush holding multi-colored balloons that flowed across the backdrop. 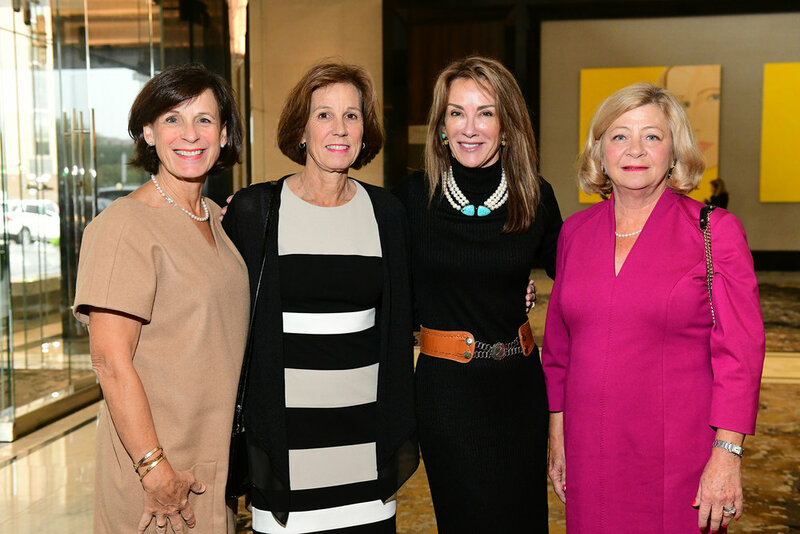 The Ladies for Literacy Guild President, Stephanie Tsuru, announced a special gift in the amount of $75,000 from Houston Children’s Charity, led by CEO Laura Ward, to jump-start the Guild’s efforts to build another Curiosity Cruiser mobile library. The first Curiosity Cruiser was announced at the 2016 luncheon and revealed at the 2017 event. Since the Cruiser hit the streets in January with the Harris County Public Library, it has made nearly 150 total visits serving more than 7,000 underserved children, distributing more than 14,000 books in the community. 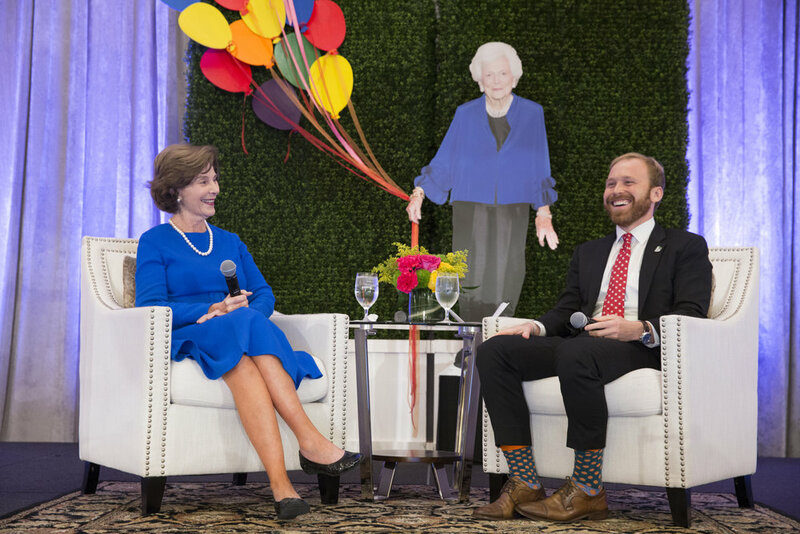 The luncheon program featured former First Lady Mrs. Laura Bush in a “fireside chat” moderated by her nephew and CEO of Big Brothers Big Sisters Lone Star, Pierce Bush. 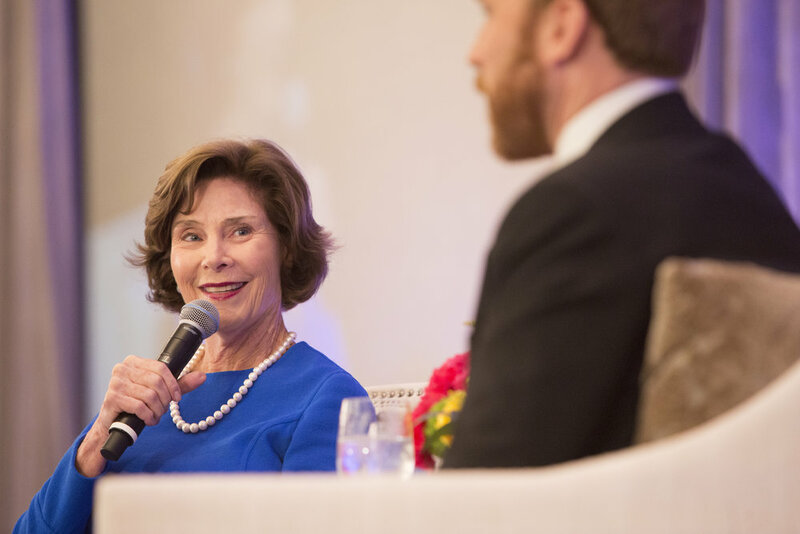 Their conversation spanned a variety of topics, including the recent, private wedding of daughter Barbara Pierce Bush to Craig Coyne at the Bush family’s Kennebunkport residence; life serving as a First Lady, a school teacher and librarian and as an author; and her relationship with her mother-in-law, Mrs. Barbara Bush. 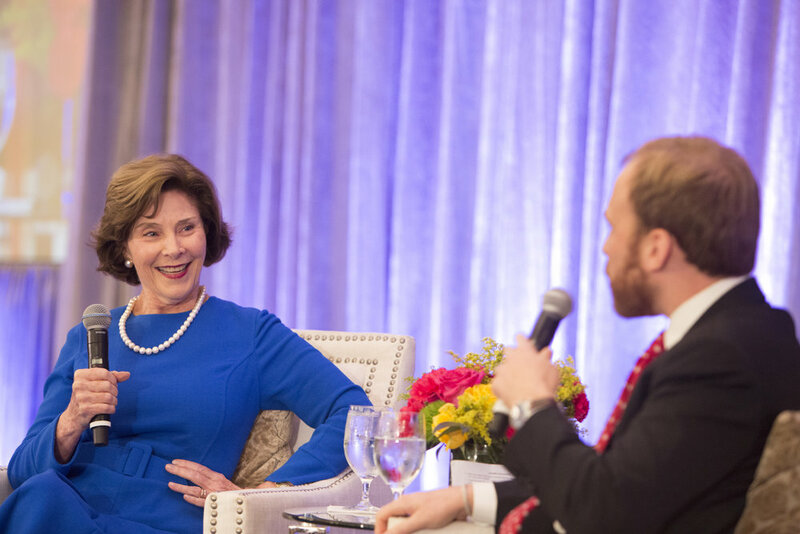 Mrs. Laura Bush kept the crowd engaged with her humor, warmth, and commitment to literacy.